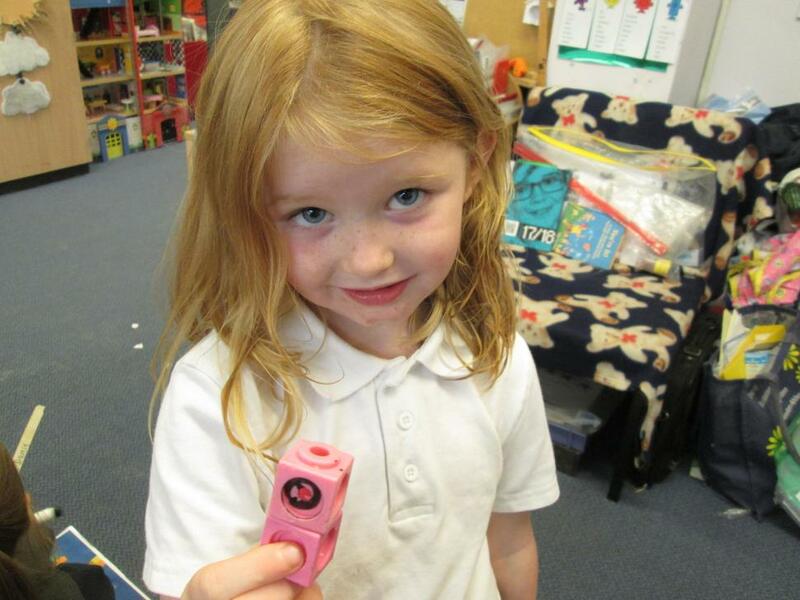 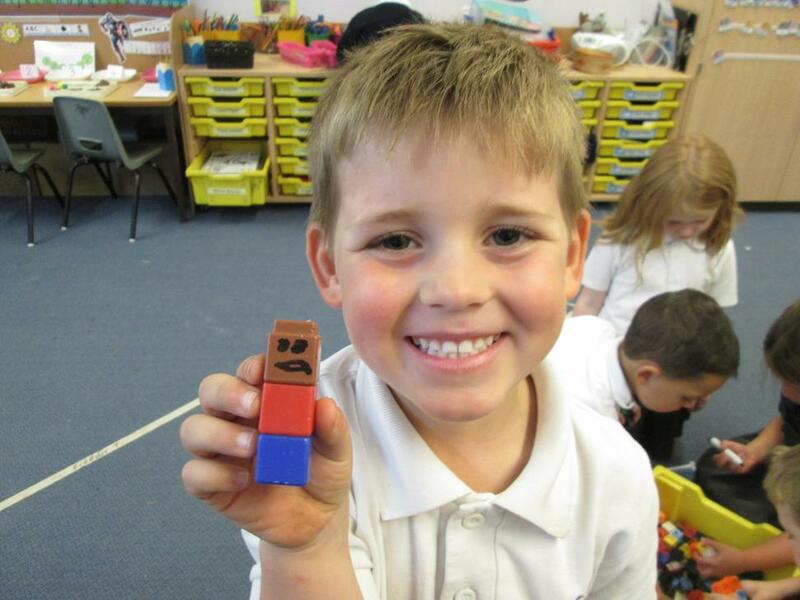 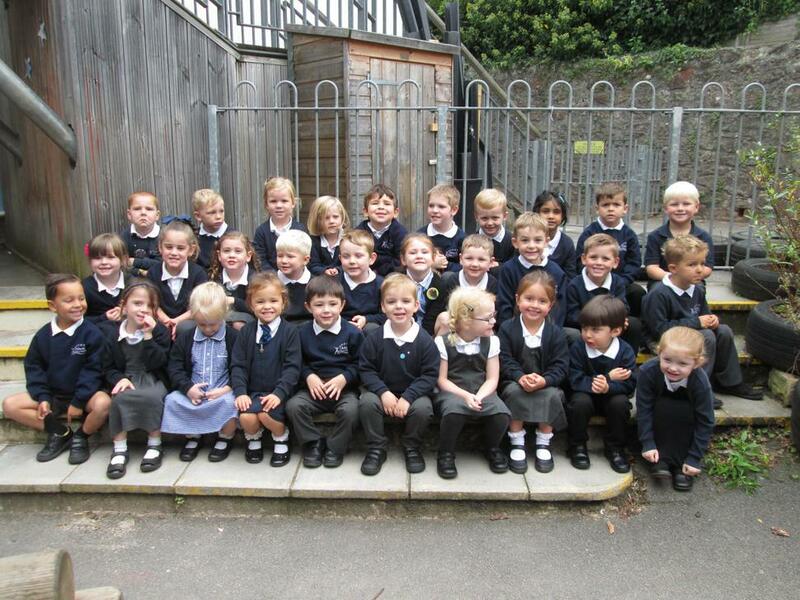 This term in Class 19 we have had lots of fun making new friends and settling in to our new class. 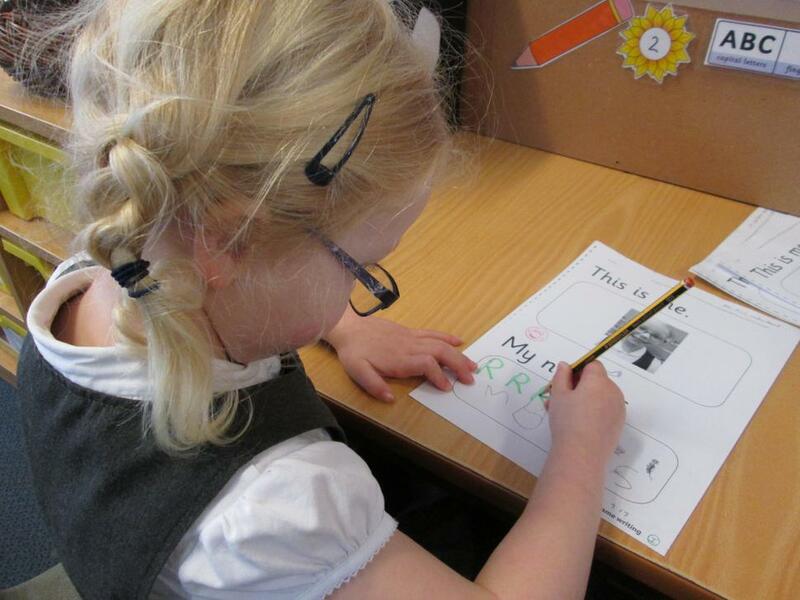 We have been practicing how to hold our pencils as well as writing our names, and had a go at 'Funky Fingers' to help make our fingers stronger - it was great fun! 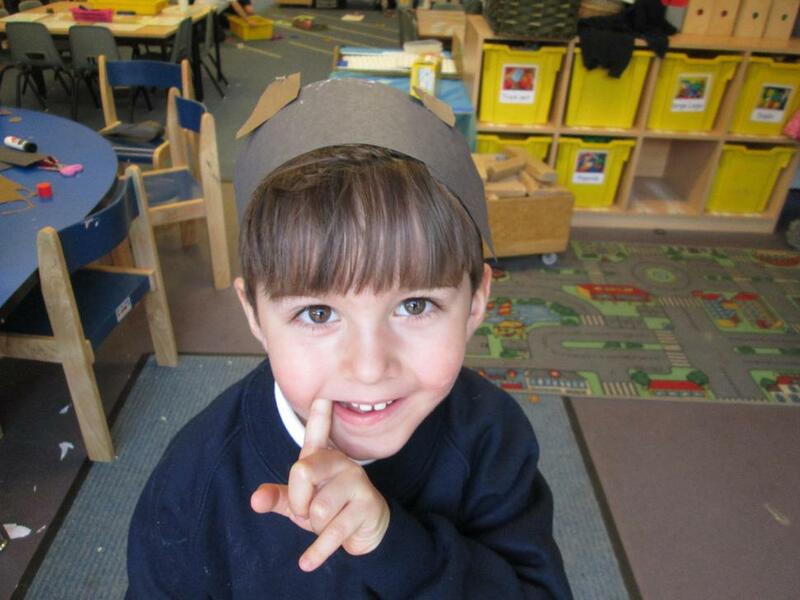 We read and retold the story 'Going on a Bear Hunt' using our own actions. 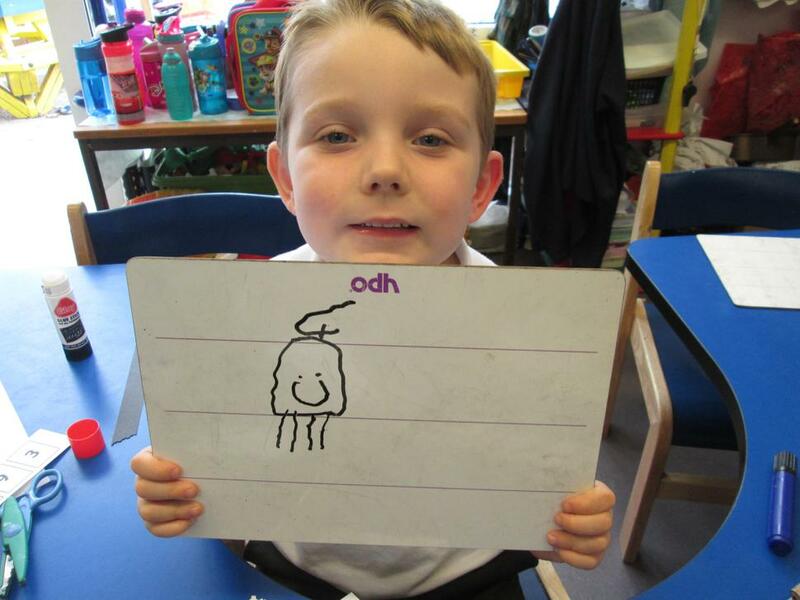 We then had a go at writing some words and listening to the different sounds that we could hear in each word. 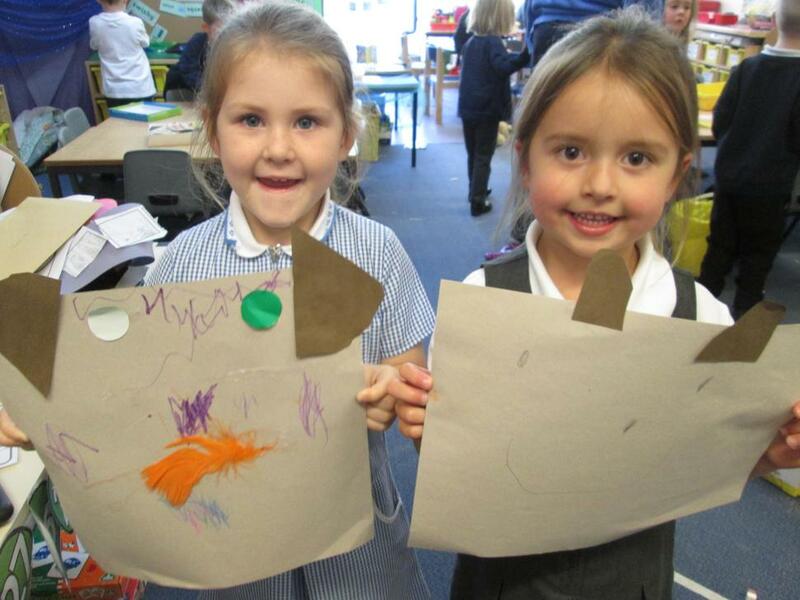 Finally we made our own bear head bands and pictures using paint, collage and mixed media. 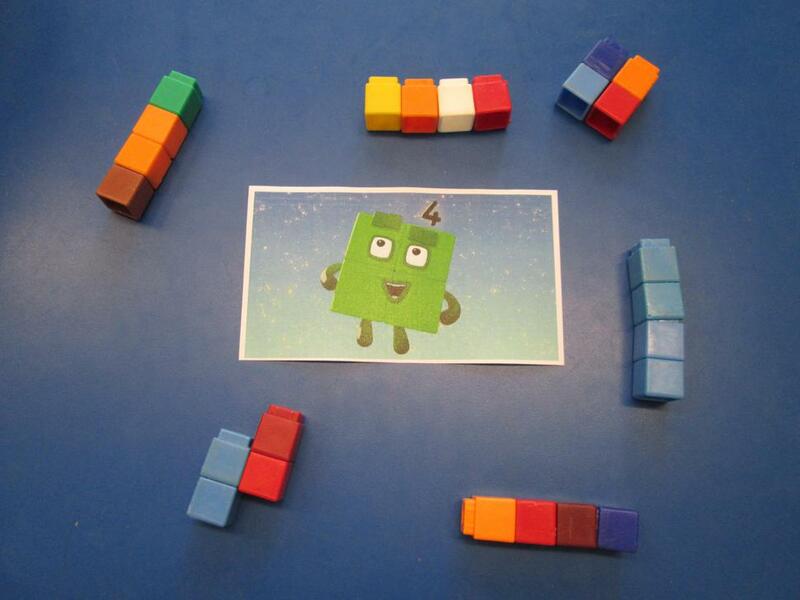 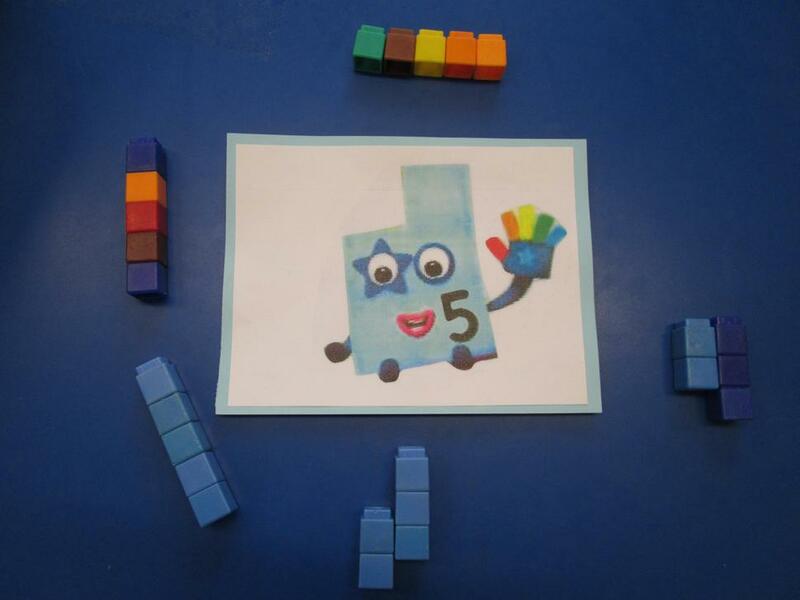 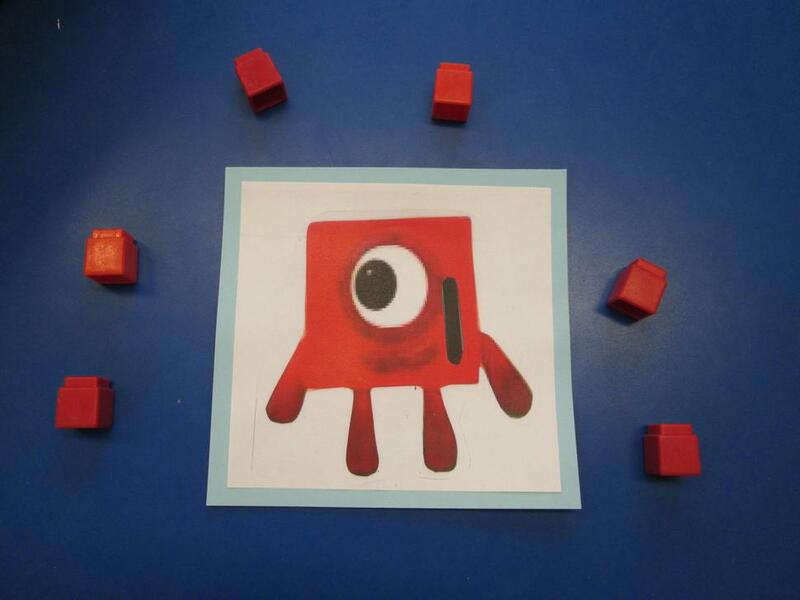 In maths we have been exploring number using the 'Numberblocks' to help us! 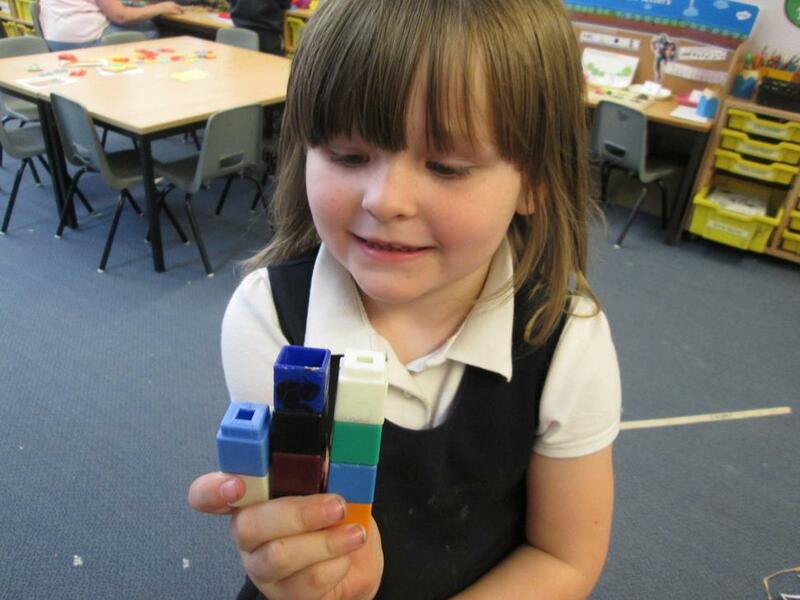 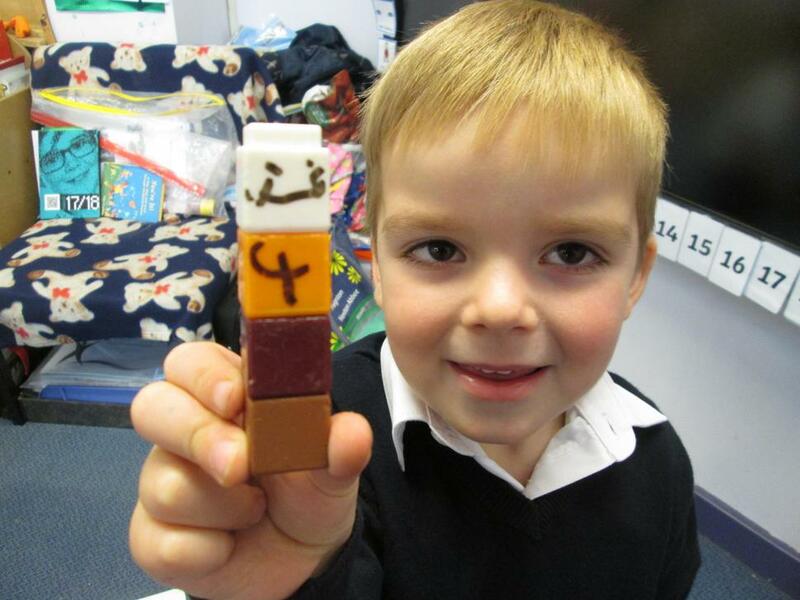 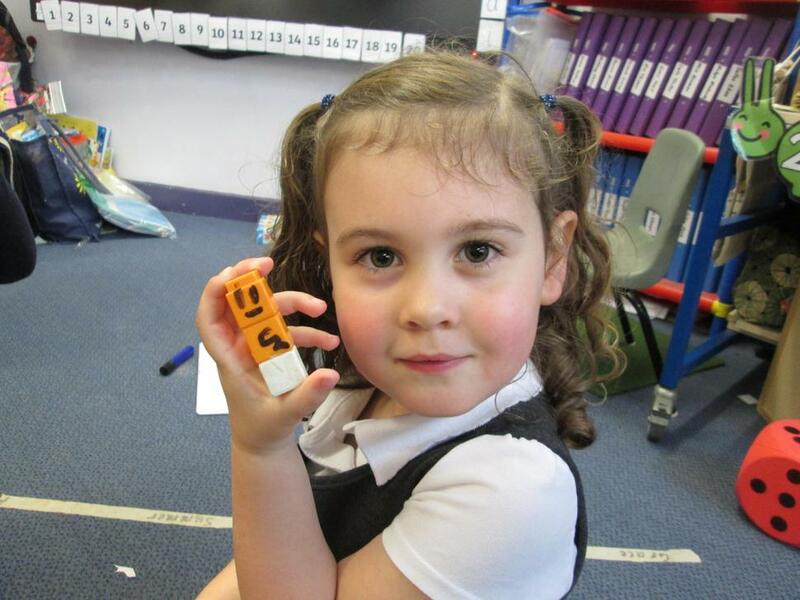 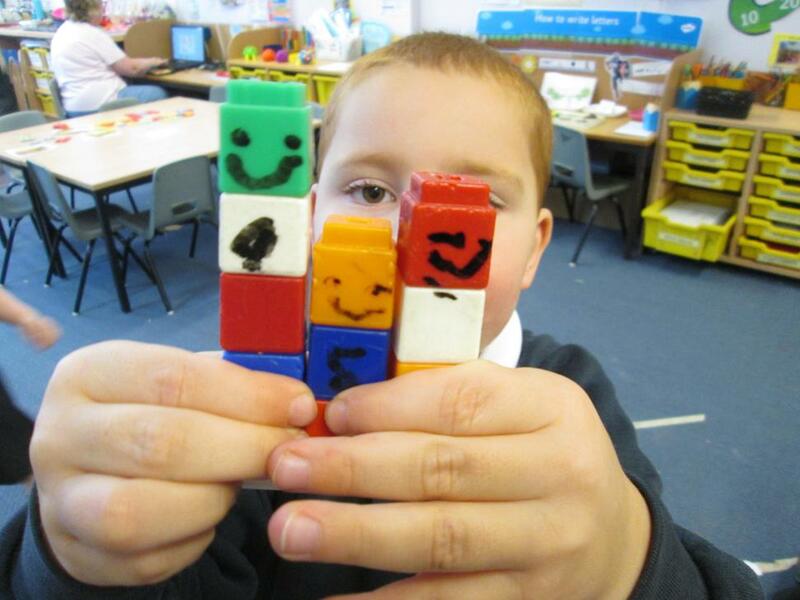 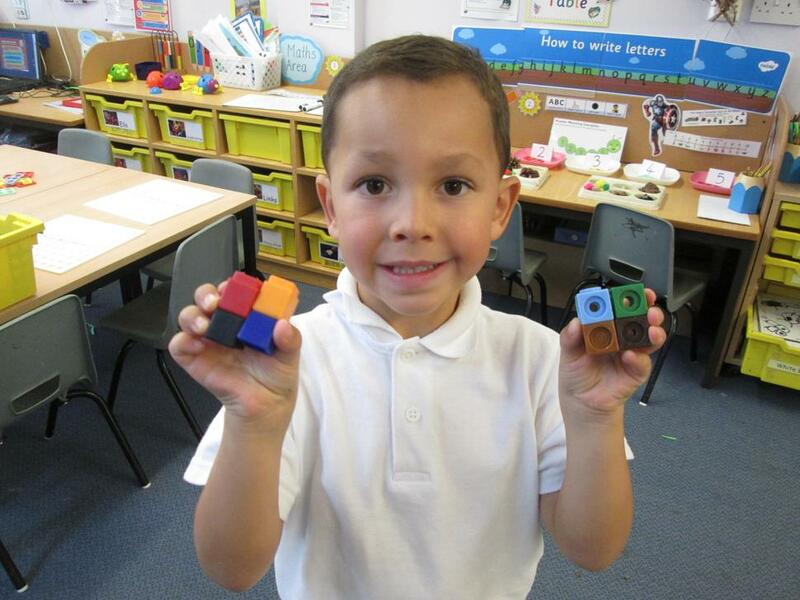 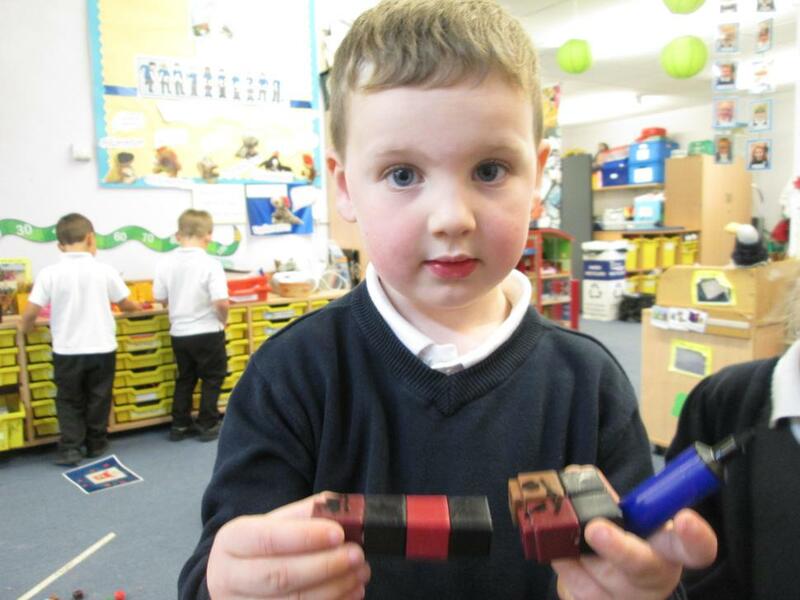 We then made our own number blocks and recorded our own ideas - Well done Class 19! 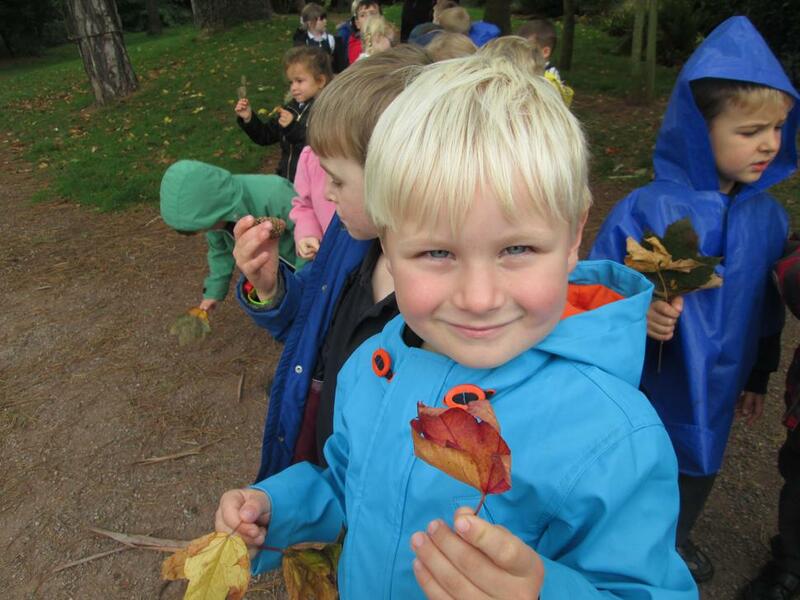 We have also been 'Explorasaurus's' looking at the different seasons and the changes that are happening around us. 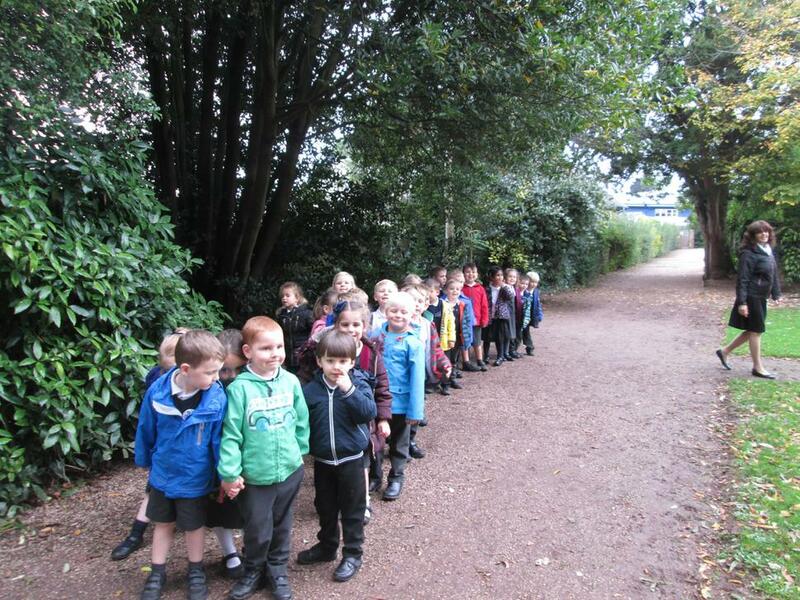 We planted spring bulbs and then went on an Autumn walk to Oldway Mansion. 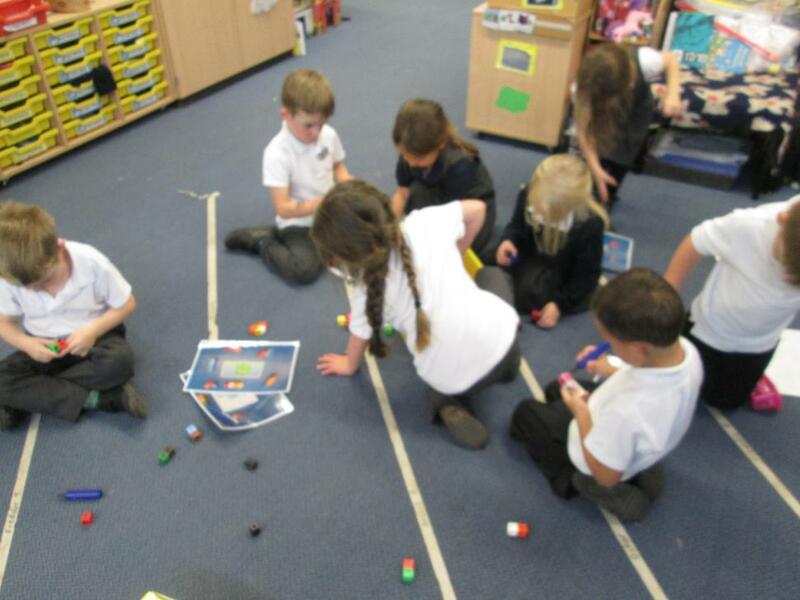 Finally we have been 'trying hard to be a 'Thinkadocus', thinking about our learning each day. 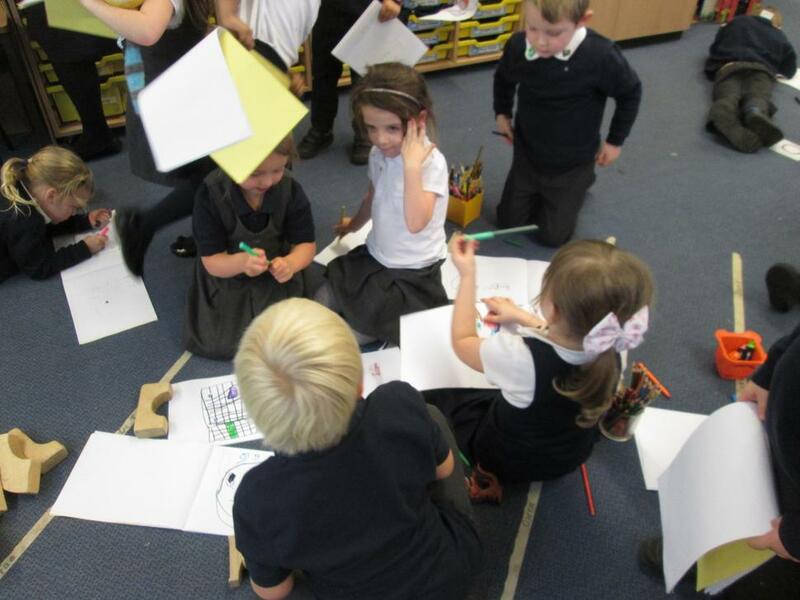 WE have really begun to enjoy using our yellow books to practice our writing, numbers and other ideas. 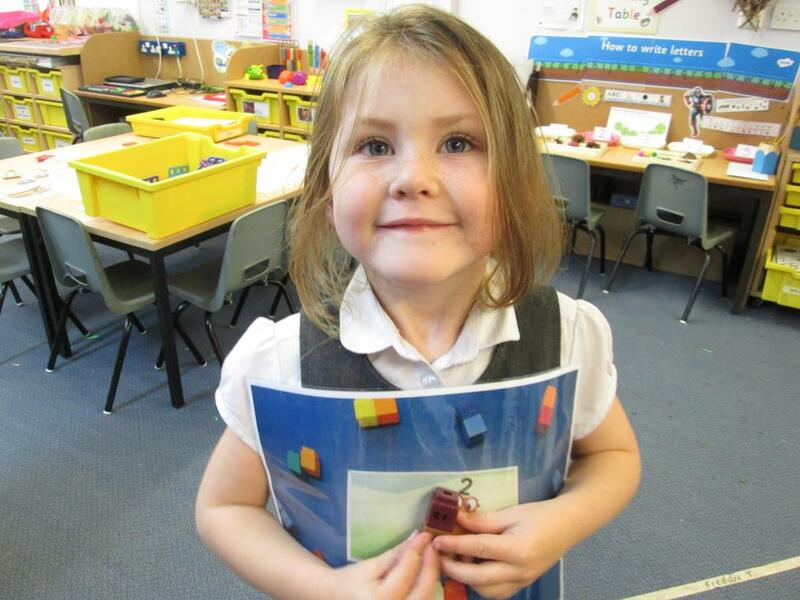 A super start in Reception Class 19 - Well done!